RIGOL’s VSA Application extends the capabilities of the RSA5000 Series to include Complex Signal Analysis and Demodulation. 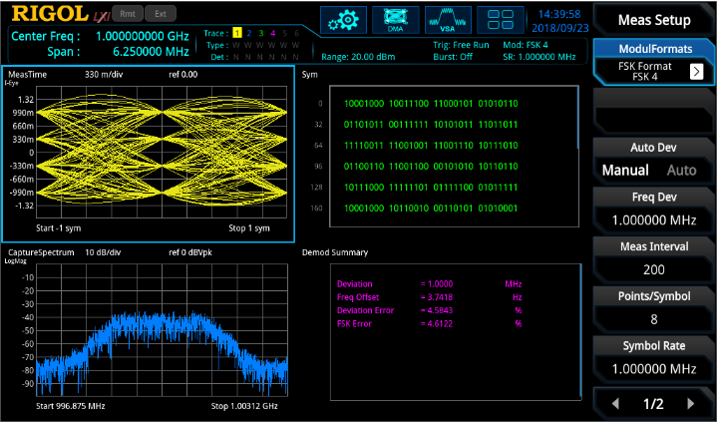 The ability to analyze quadrature encoded signals makes it possible to characterize RF modulations including QAM and QPSK as well as ASK and FSK signals. Engineers can also validate signals vs preset standards for signals including GSM, W-CDMA, Bluetooth, 802.11b, Zigbee, and APCO 25. View constellation diagrams, spectrum, time, errors, and symbols to speed debug of these complex signals. 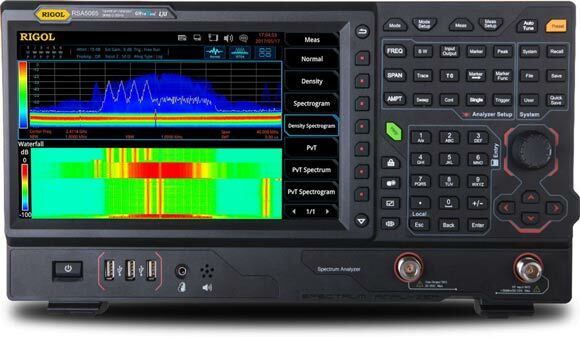 The VSA Measurement Application can be added to any RSA5000 Series Real-Time Spectrum Analyzer.